IV Sedation is the most advanced form of dental sedation. IV Sedation allows us to complete multiple procedures in one appointment. Although Dr. John Cancelliere is trained and certified in the state of Florida in conscious sedation, your sedation is carried out by an experienced anesthetist or anesthesiologist, and overseen by Dr. Cancelliere. This team approach allows Dr. Cancelliere to focus on the dental aspect of your treatment, and allows the anesthesia personnel to concentrate on their aspect of your treatment. This results in a very safe and efficient appointment, maximizing the amount of dental treatment you receive. The technique uses a combination of pain relieving medication and sedatives, which renders you completely relaxed. and unaware of the dentistry that is being performed. 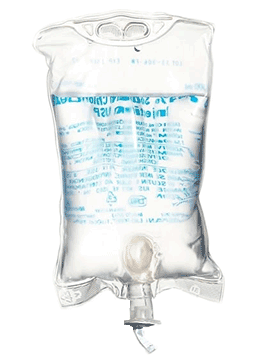 IV drug administration works much faster and more predictable than pills. This allows us to give you only the amount of medication needed to keep you safe and comfortable. You can relax for up to five to six hours after the IV sedation. The time you are sedated depends on the dental care you are receiving. Dental treatments that often require multiple appointments can now be done in just one visit. Have you already made your IV Sedation appointment? You can find your anesthesia pre-op instructions here.